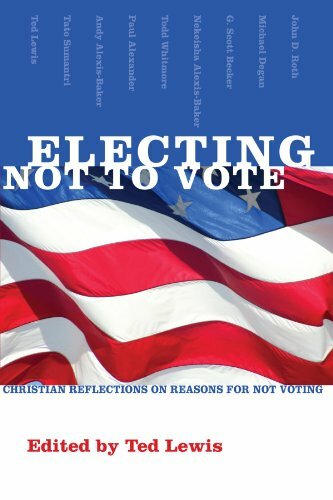 I recently reviewed Electing Not to Vote: Christian Reflections on Reasons for Not Voting. Since I afterward received several e-mails asking me if I voted in the election, I thought I would explain to a wider audience why I didn’t vote. Reading Electing Not to Vote did not persuade me to not vote. I was already a Christian non-voter. Although, as I mentioned in a 2012 article titled “My View of Politics,” I am a student of, and a commentator on, politics, I am not political in any way. Not only do I not vote, I don’t donate to political campaigns, endorse candidates, campaign for anyone, frequent political events, or watch political debates. I loathe politicians, and especially members of Congress. Voting is the sacrament of the America civic religion. Since I’m not an adherent of the American civic religion and don’t even believe in religious sacraments, I certainly am not going to partake of this unholy sacrament. I don’t have the statistics in front of me, but I believe that you have a greater chance of getting in a car accident on the way to your polling place or slipping in your bathtub when you are getting ready to go vote than your vote having any significance. Since there is no way to vote against anyone without voting for someone else, I vote against candidates by staying home. Voting for the lesser of two evils is still voting for evil. As a Christian, I cannot in good conscience vote for evil. I agree with W.E.B. DuBois on this (but not on much else). He said back in 1956: “I shall not go to the polls. I have not registered. I believe that democracy has so far disappeared in the United States that no ‘two evils’ exist. There is but one evil party with two names, and it will be elected despite all I can do or say.” And Scripture says: “Thou shalt not follow a multitude to do evil” (Exodus 23:2). Suppose there were an election between Hitler and Stalin. Would people still say that you should vote? How would you determine who was the lesser of two evils? Should people vote for Hitler to keep Stalin out of office or vote for Stalin to keep Hitler out of office? Voting will not prevent an authoritarian government. The United States has an authoritarian government. Don’t think so? I answer the question here: Do Americans live in a free society? The Democratic and Republican Parties have the system rigged to prevent or make it almost impossible for minor or third parties to even get on the ballot. Most elections are simply contests between tweedledum and tweedledee, socialist A and national socialist B, socialist A and fascist B, or the welfare state candidate and the warfare state candidate. Scripture says: “It is better to trust in the Lord than to put confidence in man” (Psalm 118:8). 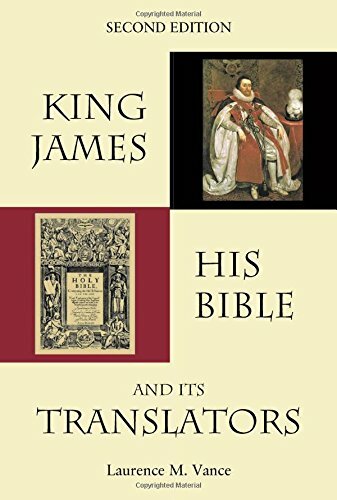 The chief priests said to Pilate about Jesus: “We have no king but Caesar” (John 19:15). I take the opposite approach: I have no king but Jesus. Why should I vote for another? Politicians are the biggest liars on the planet. I cannot believe a word that they say about anything. They will say whatever they think a voter wants to hear so they can get his vote. If I vote in a presidential election and then the next day look up the election results and subtract my vote, the outcome of the election will not be different and I will have wasted the time I spent voting. Go ahead and try it. Look up the election results in your state, subtract your vote, and see if your results are different from mine. I am not necessarily suggesting that Christians shouldn’t vote in any election. However, I do think that most Christians pay way too much attention to politics, are too quick to support the GOP, and are very ignorant of just how evil the U.S. government is. This can be considered my contribution to Electing Not to Vote. Previous article by Laurence M. Vance: Should Christians Vote?